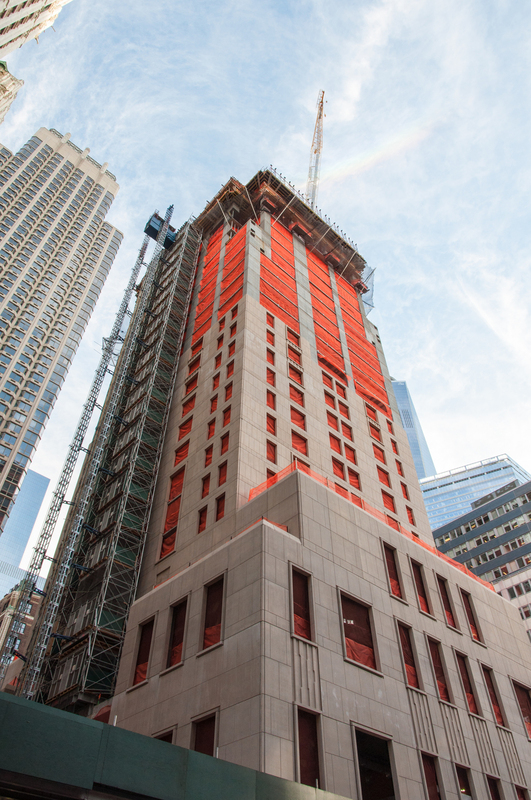 Construction has reached the one third mark at Stern's 82-story downtown hotel and residential condo tower, slated to be the tallest residential tower in the neighborhood at 926 feet. That title will be short lived though, as the new Vinoly designed 22 Thames Street was recently revealed to be 960 feet tall . The first 38 floors will be devoted to the 185-room Four Seasons Hotel, with 157 condo units occurring above. 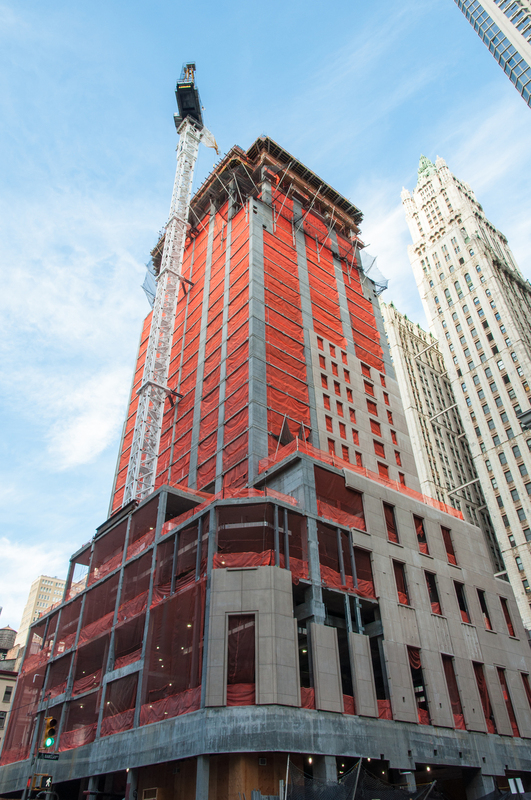 The exterior facade of precast limestone panels has reached the 14th floor. As Stern has attempted in the past, the facade treatment appears to be an attempt at updating a classic limestone facade with contemporary detailing, especially at the base of the building. The northwest corner at Park Place and Church Street. The northeast corner along Park Place. The southwest corner at Church Street and Barclay Street. The north facade along Park Place. The limestone panels at the podium. Detail of the limestone panels at the podium. Architects: Robert A.M. Stern Architects; Program: Residential; Location: Lower Manhattan, New York, NY; Completion: 2016.